The Macallan recently announced the completion of The 1824 Masters Series featuring four stunning decanters, just in time for National Scotch Day (July 27). In honor of the holiday, the range, which previously featured Rare Cask (43% ABV, RRP $300) and M (44.7% ABV, RRP $5,000) in the U.S., will now be joined by Reflexion (43% ABV, RRP $1,400) and No. 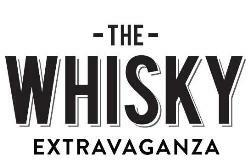 6 (43% ABV, RRP $4,000), all of which contain some of the finest single malt whiskies released by the distillery. These prominent decanters – which exude elegance – carry whisky connoisseurs through the range starting with “Rare” to the crescendo of M, the halo of the entire series and the world’s most valuable whisky. The Macallan 1824 Masters Series, named to commemorate the year The Macallan was established, is a luxury range within The Macallan portfolio that charts a path through The Macallan’s use of quality sherry casks, increasing in scarcity and rarity through each expression. All of the whiskies in the range are hand selected by Master Whisky Maker, Bob Dalgarno. First-fill, 100% sherry-seasoned casks showcase the beautiful spectrum of the natural color range. “The 1824 Masters Series has been an extremely exciting ongoing development for The Macallan. The stunning designs and overall imprint of this collection are not only worthy of some of our most complex and precious single malt whiskies but, they celebrate the very foundations that make The Macallan so special – our glorious range of natural color and the outstanding quality of our sherry casks,” said Raul Gonzalez, VP of The Macallan (Edrington Americas). “Wood sits at the very heart of what we do at The Macallan and this range further demonstrates the vital role of our casks in the production of these superb whiskies. Our commitment to sherry seasoned oak casks is unquestionable and the 1824 Masters Series showcases The Macallan at its very best,” added The Macallan’s Master of Wood, Stuart MacPherson.